Carrie Sperling joined the University of Wisconsin Law School in August 2013 where she now serves as the Interim Director of the Frank J. Remington Center and Co-Director of the Wisconsin Innocence Project. Sperling has a broad range of practice, teaching, and management experience. Her legal practice has focused on civil-rights and post-conviction litigation, and she has taught legal method, persuasion and advocacy at Arizona State's Sandra Day O'Connor College of Law and at the University of Oklahoma College of Law. 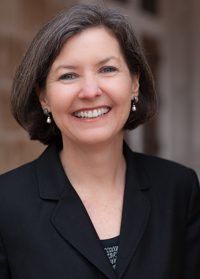 Early in her legal career, Sperling served as the Director of the ACLU's North Texas Region. In 2008, while teaching at Sandra Day O'Connor College of Law, she became the Executive Director of the Arizona Justice Project, a project that investigates and litigates on behalf of the wrongly convicted. At the Arizona Justice Project, Sperling led a unique collaboration between the Project and the Arizona Attorney General's Office to provide DNA testing to all Arizona inmates convicted of serious crimes who were claiming innocence. During her tenure with the Arizona Justice Project, she laid the ground work for the release of eight inmates who were wrongly convicted or had suffered a manifest injustice. Professor Sperling publishes at the intersection of law and science. Her articles apply the latest social science to legal persuasion and legal pedagogy and address the dangers of unreliable forensic science in criminal trials. Some of her cases have been featured in The New York Times, The Wall Street Journal, Slate, The Guardian, The Daily Mail, The Dallas Morning News, The Sacramento Bee, The Arizona Republic, and the Phoenix New Times. She has also served as a law clerk to the Hon. Jerry Buckmeyer, U.S. District Judge, and the Hon. Paul D. Stickney, U.S. Magistrate Judge in the Northern District of Texas.